For a unique trip through the history of Fuerteventura, you can attend the Coronel's Route tour in the village of La Oliva. Each Tuesday and Friday you can travel to 5 interesting places, where you can find out more about the historical heritage of La Oliva and Fuerteventura. The ticket includes the entrance to all of the 5 places visited during the tour. 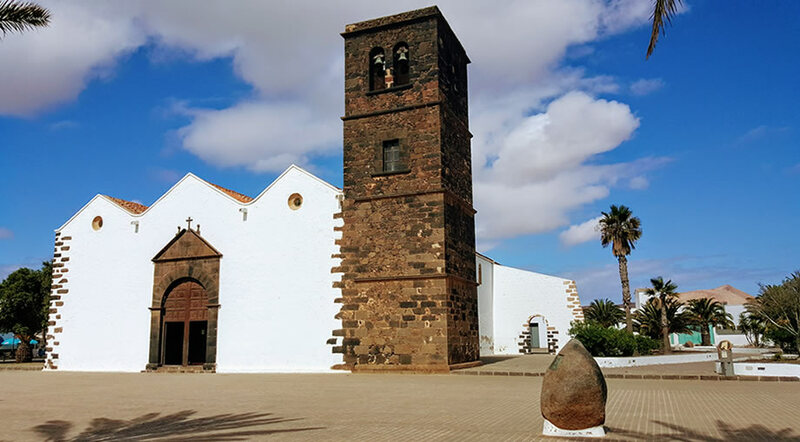 By taking the Colone's Route tour you can immerse yourself into Fuerteventura's history, by getting to know 2 of the island's emblematic characters: Dona Sebastiana and Don Agustin. They will accompany you on a journey from the XVIII to the XIX century, visiting some of the most important landmarks in La Oliva: the museum in La Cilla, La Candelaria church, The Colonel's house (Casa de los Coroneles), The Canarian Art Center (Casa Mane) and the Traditions Market. This is a dramatized tour that will offer you a better perspective on the history of Fuerteventura and the role of the Colonels of militias on the island. For many centuries, Fuerteventura was the grain supplier for the other Canary Islands and the building that houses this museum is a former warehouse for grains, similar to other that were built in Tiscamanita, Tindaya, Betancuria and Tetir. This building used to store the 10th part of the yearly harvest given to the church by the farmers. The building dates back to the XIXth century and it passed through many hands, until the Cabildo bought the building back in 1997 and it turned it into the Grain Museum in La Oliva. 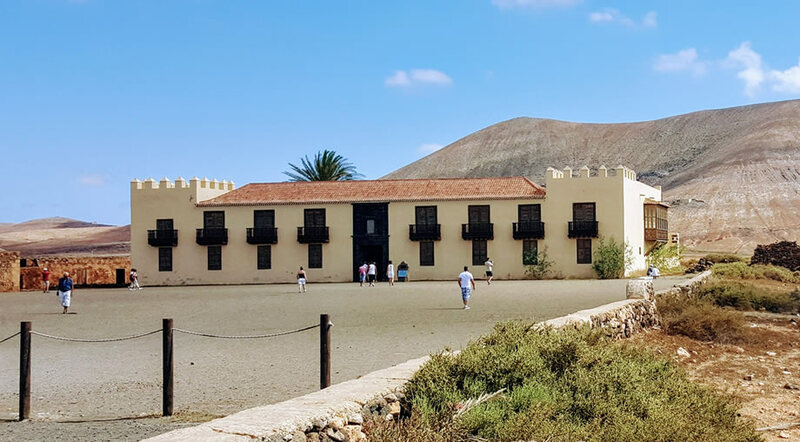 By visiting Casa de la Cilla you will find out more about agiculture in Fuerteventura, how people used to store water and the entire process for preparing the land for production. and holidays. Please contact for special hours. If you take the Colonel's Route tour, the entrance to Casa de la Cilla - Grain Museum is included in the ticket price. Inside the church of Candelaria you can admire an interesting collection of items of artistic value, including a polyptych of the Retablo Mayor, painted by the renowned baroque artist of the Canaries, Juan de Miranda Cejas. The church in La Oliva was declared Bien de Interés Cultural (Heritage of Cultural Interest) by a decree of the Canary Islands Goverment on 24th September 1993. La Casa de los Coroneles is the maximun exponent of the civil architecture of Fuerteventura. The building has been declared National Historical and Artistic Monument, by government decree on 13th June, 1979. Nowadays, the building is used as a cultural center where exhibitions and cultural activities take place here. It is considered of historic interest, showcasing a permanent exhibition about the role of the Colonels of militias on the island. Opening hours: Tuesdays to Saturdays from 10 to 18 hours. Closed on Sunday, Monday and holidays. Prices: General 3€, Canary Islands Residents 1€, Free Entrance on the 18th and 30th of May. Also free entrance for people under 10 and over 65. If you take the Colonel's Route tour, the entrance to Casa de los Coroneles is included in the ticket price. This house has a traditional construction and it used to be the residence of Blas Curbelo Guerra, Colonel Cristóbal Manrique de Lara and his family’s personal doctor midway through the XIX century. Nowadays, this house and the surrounding buildings house the Centro de Arte Canario «Casa Mané», which is privately owned and hosts one of the most interesting exhibitions of contemporary Canarian artists. You can admire lots of art pieces and sometimes there are also cultural events here, which may be interesting for people who are passionate for art. Photographs are forbidden inside the museum (photos are allowed only outside of the exhibition halls). You can also buy pieces of art here, from statues to oil paintings, at very reasonable prices. Opening hours: Mondays to Fridays from 10 to17 hours. Saturdays from 10 to 14 hours. Sunday, closed. The village of La Oliva is situated in the north of Fuerteventura, so a trip here is ideal for those spending their holidays in Corralejo. We know that the island's main attractions are the amazing beaches but if you get a cloudy day and don't know what to do for a few hours, come and visit La Oliva and take the Colone's Route, if you happen to visit on a Tuesday of Friday. It's a unique experience, different from what most people come to see in Fuerteventura, but it offers nice insights regarding the culture and history of the island.